Meet Betsy!! Larger than life in character… and size! 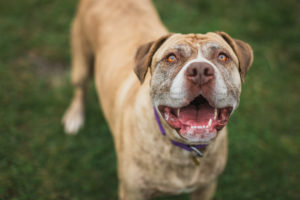 Betsy is 50kg of gorgeous Mastiff crossbreed who has a beautiful, unusual coat. She is approx 4 yrs old. As Betsy is a big girl, she needs a home who have large breed experience who can handle her as she can be very strong when she wants to be. She generally walks quite nicely on the lead, but we would recommend she be walked on a headcollar in future for better control (she will need training to wear one as she isn’t used to wearing one at the moment). 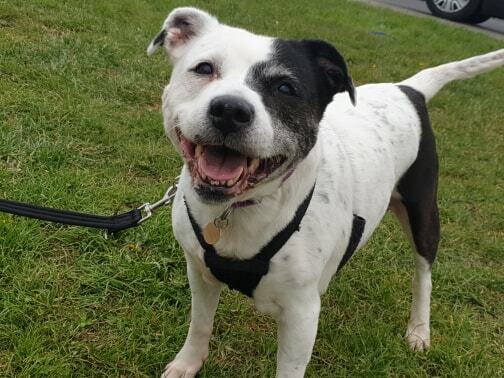 Betsy is very friendly and loves being the centre of attention, her whole body wags to say hello to people! As she is a guarding breed, she will bark at noises etc and will let you know if someone is at the door, but she shows no aggression at all. 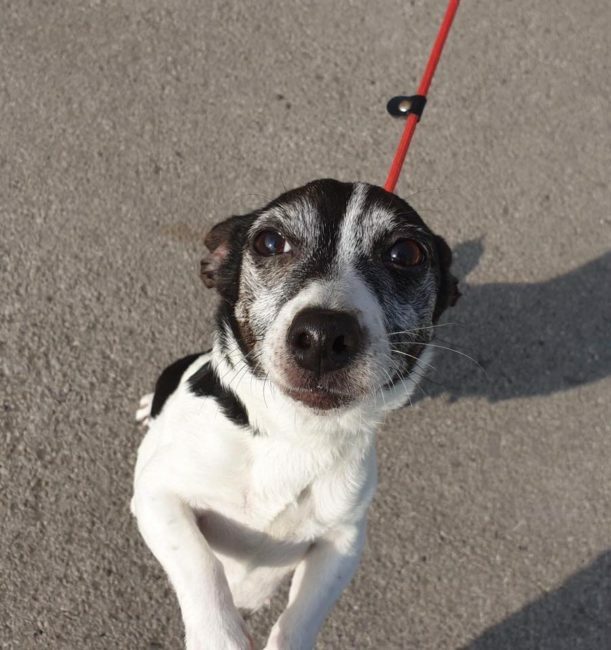 Betsy isn’t too bad around other dogs in passing, as long as they are friendly towards her, but will need to be the only dog as she is possessive over her toys/food and definitely wants to have all the attention on her! She is housetrained, LOVES to play with her toys, but doesn’t chew anything other than her toys, she is also fine to be left for a few hours. Betsy would love to find her dream home who have owned big dogs like her before, she does need a fair bit of space as she takes up a lot of room bless her, even though she thinks she’s a lap dog! This entry was posted in Female, Happy Endings, Large by Amanda HYPS. Bookmark the permalink.